We have champagne to thank for the evolution of what we now know as modern day port wine. In the late 17th century, champagne became known as a modern wine and was incredibly popular with the British and, of course, with the French. According to legend, a Benedictine monk, Dom Pierre Pérignon, pioneered quality changes for champagne and declared, of sparkling champagne, “I am drinking stars.” It wasn’t until later, after his death in 1715, that subsequent changes in production technique following his initial invention caused drinking champagne became the height of fashion in Paris and Versailles. Because it was so limited and nothing like it had been made before, the people who purchased it were invariably rich. This left little for everyone else. The first port that was initially made was coarse and cheap, sold as an alternative to claret wine. Port was first introduced to satisfy the tavern market of the English. In 1717, the first trading post was established in Porto. The city of Porto, with its many wine cellars or adegas in Vila Nova de Gaia, has long served as the main export port for port wine. This is where the main production and export of this fortified wine has taken place over the centuries. Port wine, also known as Vinho do Porto, is a Portuguese fortified wine from grapes grown in the Douro Valley of Portugal. Traditionally, after the grapes are picked, they are placed in Lagares, which are these large open stone basins where the grapes are trodden by foot or by a wooden stick. 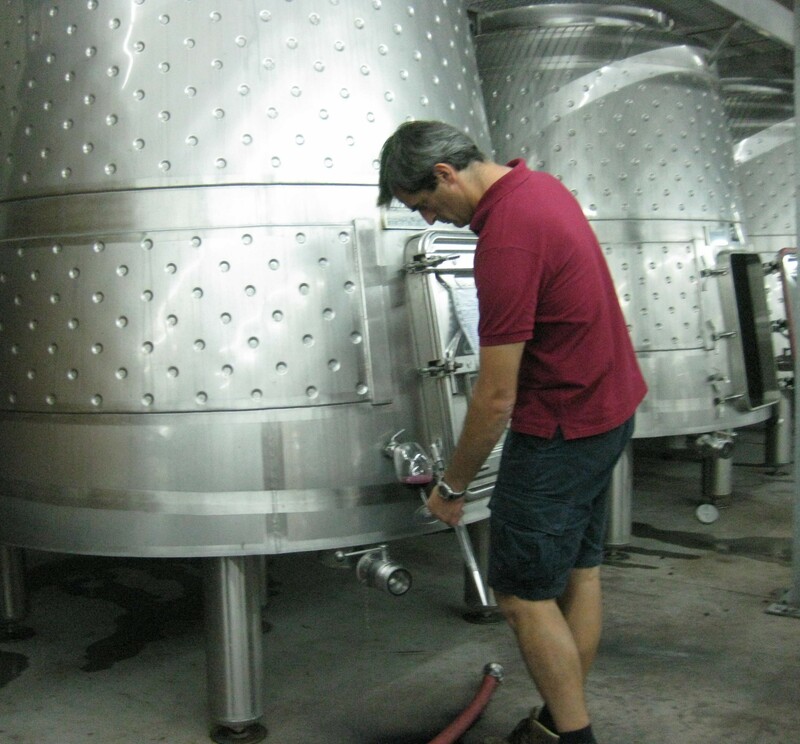 While the grapes are fermenting, they create must, which is grape juice. The sugar in the must is then converted to alcohol. When the must has reached about 6-7 percent alcohol, it is then fortified by the addition of a neutral grape spirit known as aguardente (a type of brandy). This simultaneously stops the fermentation process and stabilizes the wine. By stopping the fermentation before it is has completed, there is little residual sugar left in the wine, and a slightly sweet wine results. However, with the addition of the neutral grape spirit and residual sugar, there is an increase in alcohol as well as sweetness. The first port wines produced were made with dry wines, meaning that the fermentation process had already run its course, leaving no residual sugar. This is what we would call a Dry Port. However, the traditional dessert wines that many know today are made with sweeter wines; thus when fermentation is stopped, residual sugar remains, giving this fortified wine the sweetness and potency we now enjoy. Port wine is quality protected and monitored by the Instituto dos Vinhos do Douro e Porto (IVDP). In 1756, the Douro Valley, where port wine is produced, was established as a protected region or appellation, making it one of the oldest demarcated and protected wine region in the world. The Douro Valley has hundreds of varieties of grapes, but there are five key varieties widely cultivated and used in the production of port: Tinta Barroca, Tinta Cão, Tinta Roiz (Tempranillo), Tourigua Francesa, and Touriga Nacional. Ports from Portugal can be divided and then subdivided into numerous categories. There is port that undergoes “reductive” ageing, which are wines aged in sealed glass bottles. A second main category is port wines that are matured in wood barrels—a process known as “oxidative” ageing. The port wines that possibly interest you most are the Rubies and Tawnies that you have likely heard about and maybe already tried. Tawny Port is wine made from red grapes, aged in wooden barrels known as pipas. This process exposes them to gradual oxidation and evaporation. They are generally nutty in flavor and a golden brown in color. They can be aged for 10, 20, 30, and 40 years. In the image below, you will see what we call Colheita. Colheita is a tawny port of a single vintage, instead of an age indication of 10, 20, or other years. Rather, it has a specific vintage year mentioned. Below you will see there is a Colheita of 1998 that is still in barrel. Colheitas can spend 20 or more years in barrel before being bottled and sold. Ruby Port is among the most popular of port wines produced. These wines are generally stored in concrete or stainless steel to prevent oxidative ageing and to protect the beautiful ruby color common to these wines. Rubies are generally blended to be consistent in color and flavor. They are fined and cold filtered. They tend to be somewhat fruitier on the palate and in some ways fresher. A Ruby isn’t generally a port that will improve with age. Vintage Port is a wine that is made entirely from the grapes of a declared vintage year by the individual Port house. Vintage ports represent approximately 2% of overall port production. While some perceive producing port wines labeled as vintage ports as a way to increase revenue by naming every year a vintage (or as some perceive it, a great year), the decisions to label certain port wines as vintage port are not taken lightly, and many reputations hang in the balance here. Vintage ports are aged in barrels for a maximum of two and a half years before bottling and then require another 10 to 40 years of ageing in bottle before they are ready to be consumed. Since they are aged in barrels for less than three years, they still retain a dark ruby color and a substantial amount of freshness. It is recommended to consume a vintage port wine within a few days of opening it, and it should be treated like a normal wine. 2011 is an example of a phenomenal vintage- many wineries have released their 2011 Vintage Ports. I would highly recommend getting your hands on Vinhos Oscar Quevedo Vintage Port 2011, which was awarded 96 points by the Wine Spectator this month. Late Bottled Vintage (LBV) is generally a port wine that was destined for bottling as a vintage port, but which, due to lack of demand, was left in barrel longer than planned. These port wines are generally bottled four to six years after the vintage year. Some are filtered; others are not and require decanting. The wine is ready to drink when it is released. There is, honestly, so much to learn about port, and there are even white and rose port wines available as well. Port wine is extremely flexible as a wine/spirit and can be used to make mixed drinks as well. Two good friends of mine, Ryan and Gabriella Opaz of CataVino, told me about a phenomenal White Port and Tonic drink. Such a drink would be a great intro to enjoying port wines, especially on a hot summer day. I found a recipe online by For the Love of Port with a great recipe to try. In a tall glass, place 5-8 mint leaves and then top off with ice cubes. You can add more or less mint depending on your taste preference. Then add in equal parts White Port and tonic water and stir. And stay posted for an interview with a port wine producer from Vila Nova de Gaia—coming soon!